Trailer Park: Beyond The Black Rainbow! 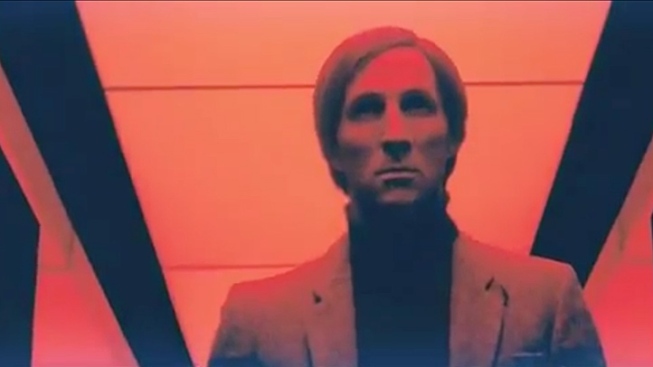 The trailer for Beyond the Black Rainbow will leave you knowing less about the movie than ever before. Anyone can tell you if a trailer "looks good" or not. But Drew Magary, who spent over a decade working in advertising, is here to tell you whether or not a trailer WORKS. This week's trailer? "Beyond The Black Rainbow". Panos Cosmatos is the son of late director George Cosmatos, the man who directed "Tombstone". Given that "Tombstone" is the greatest movie in the history of everything ever (if you disagree you are wrong), I think we at PopcornBiz owe it to ourselves to see if Panos inherited his father's gift for wringing maximum badassery out of any given movie. His first effort is the indie "Beyond the Black Rainbow," a sci-fi mindtrip that is described on the Apple trailers website as a "Reagan-era fever dream," which sounds like something you'd watch at a CPAC convention, but is probably much more fun in practice. Let's watch the trailer for Cosmatos' opus and answer a few questions. Does the trailer let us know what the movie is about? NOOOOOOOOOOOOO. No. No. No no no. Not at all. If anything, I'm more confused now that I've seen it. There was a glowing pyramid, and a dude in a Tron outfit, and some creepy doctor guy wearing a tweed jacket with a lousy haircut. About the only thing I took away from this trailer is that Panos Cosmatos really, really, really likes Kubrick movies. I mean, it's dead obvious. What's with the tongue drops? I don't know. Why did the doctor dude have three eyes for a second? I don't know. Why do they keep that girl locked in a white room? I don't know. Why is the doctor dude sinking into a pit of black tar? I don't know. What is "energy sculpting"? I don't know. Why is there a long shot of someone driving in a tunnel? I don't know. So this is some kind of 80's dystopian thing? I don't know. Are we sure this is an actual movie, and not a Nine Inch Nails video? I don't know. When the MPAA Rating card shows up before this trailer, it says the film contains a "graphic sexual illustration." Do we see it in the trailer? I don't know. I think so? Does this trailer work? No. This is not "Tombstone."